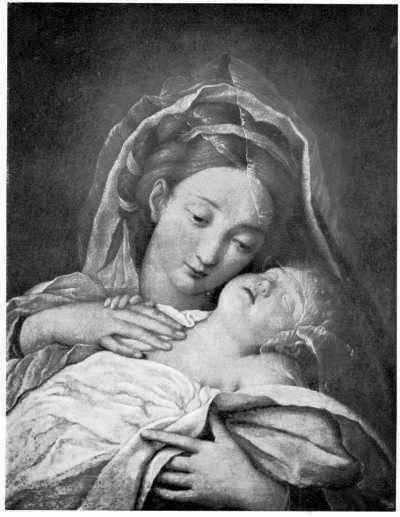 Agnese Dolci was the daughter of the Florentine painter Carlo Dolci and his wife, Teresa Bucherelli (Agnese Dolci's birthdate is confirmed in Maria Barbara Guerrieri Borsoi's entry on Agnese Dolci in Dizionario Biografico degli Italiani ). She married Stefano di Carlo Bacci, a silk weaver, with whom she had two children, but she probably continued to paint. There is almost no more information available about Agnese Dolci--except confirmation that she was taught to paint by her father, and that she was taught, as Germaine Greer notes, "to paint in his own style." Even so, examining Angela's copy of her father's Madonna and Child (now in the Galleria Corsini in Rome), Greer demonstrates that hers were not "slavish imitations," but carefully simplified and "more austere." 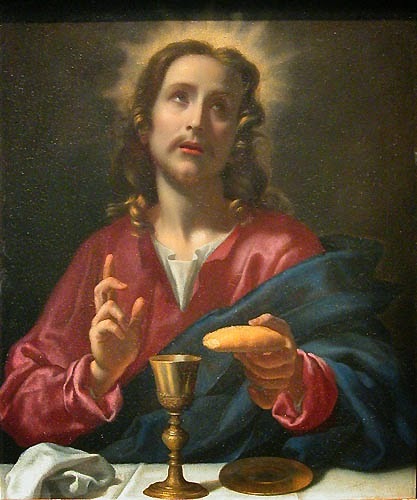 A painting now in the Louvre, Christ Breaking Bread (also known as Consecration of the Bread and Wine), was formerly attributed to Agnese Dolci, but more recently the work has been re-identified as a copy of a painting by Carlo Dolci. The Grove Dictionary of Art indicates that “no securely autographed painting is yet known, although a supposedly signed Self-portrait is known from photographs." Agnese Dolci is believed to have died in 1689.